We often think of cases for our mobile devices in terms of protection -- from scratches and drops. But you may not be inflicting hostile actions on your device, but instead may be more interested in using it as a communicator and and a viewer, for exploring the web and social media sites, and for enjoying media clips and longer-form movies. When your focus is experiencing, rather than protecting, a case can serve multiple purposes, especially as a stand for propping up your device so you (and others) can view it hands-off. This is the simple design idea behind the TRTLBOT TRTL Stand for the iPhone 4 / 4S. The case snaps on the back of your iPhone, and has a built-in pop-out bottom stand that can hold your device in three positions: portrait (for FaceTime video), landscape (for watching videos), and tripod (vertical for timer photos). The TRTL Stand is made from recycled plastic bottles, and is available for around $24 in five colors. TRTLBOT also offers the KidSafe iPhone case which flips around to block the Home button for around $24, and the Minimalist case with pop-out bottom slot for credit cards for $29. 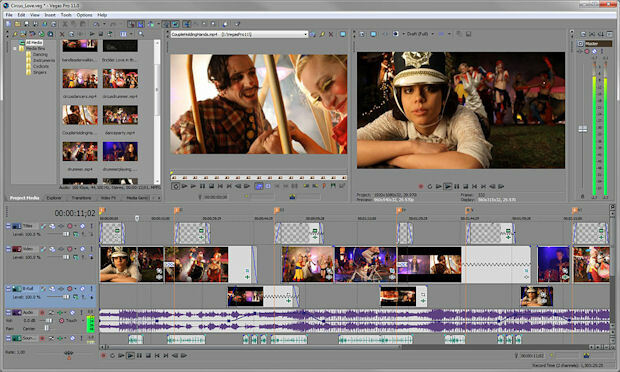 This past year, video editing tools have been adding flashy features including 3D video editing, but the real focus has continued to be on the underlying machinery -- taking advantage of both today's 64-bit architectures to work efficiently with large clips in memory, plus leveraging GPU (graphics processing unit) hardware to significantly speed up video processing. For example, Vegas Pro 10 from Sony Creative Software was released last year with both 32-bit and 64-bit versions, and with GPU acceleration for rendering to AVC format. Now Sony Vegas Pro 11, provides full-up GPU acceleration that supports both NVIDIA and AMD hardware for video processing, effects, and rendering, providing speed-ups across editing, playback, and output. Besides the under-the-hood improvements, the Vegas 11 also enhances editing with workflow improvements including Sync Link to keep child events associated with the main track, and technology upgrades including advanced video stabilization for all three axes of camera motion. And it provides deeper support for editing 3D material including 3D Titler Pro. Sony Vegas Pro is a classic and comfortable vehicle for video editing. Version 11 adds some nice refinements with the same comfortable feel, but the real action is under the hood with a significant turbo-boost from GPU acceleration that makes this a welcome upgrade. It's available for $599 online, or via upgrade for $199. Entries posted to Manifest Tech Blog in April 2012, listed from oldest to newest.